Would you like to bike through the heart of Philadelphia surrounded by bicyclists instead of cars? Join others for a family-friendly bike tour celebrating the freedom of car-free Philadelphia streets. 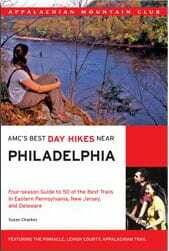 Ride through historic neighborhoods and explore hidden corners of Fairmount Park. Bicyclists of all skill levels are welcome. Bike Philly rolls rain or shine. Early-bird Registration ends June 30th and includes a free t-shirt ($10 after). The proposed bicycle component of Mercer County’s master plan will be discussed at an “open house” from 4 pm to 7 pm on Wednesday July 14 at the main branch of the Mercer County Library, Business Route 1 and Darrah Lane in Lawrence. This will give all those interested a chance to learn about this part of the master plan and how it could make the county safer for bicyclists as well as to offer comments on what is being developed. 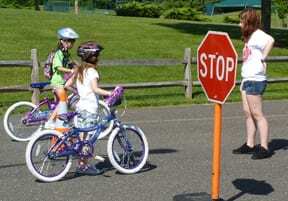 Bicyclists have already been asked to provide input on the bikeability of roads in the county. A key step now is to define key links and intersections in need of improvement. By adding a bicycle element to the Mercer County Master Plan, it should help ensure that bicyclists are taken into account when road improvements are made. Need a rental bike for yourself or visiting friends? Want to try an off-road bike before buying one? Or feel like taking a spin around the park? 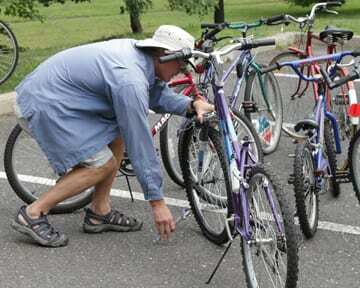 We hear that bike rentals may be coming soon to Mercer County Park and will keep you posted as we hear more. The Lawrence-Hopewell Trail will be a 20-mile loop from, well, Lawrence to Hopewell and should be completed by 2012. It now links to the East Coast Greenway at the Brearley House (Section 1) via the Great Meadow Trail and the D&R Canal Towpath. 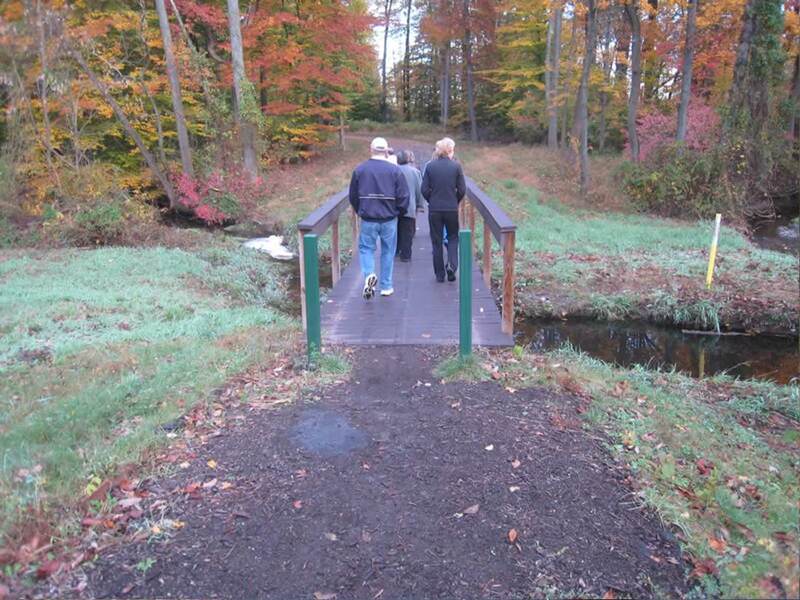 Construction of safe bicycle/pedestrian crossings at the intersection of Pennington-Rocky Hill Road and Bailey Drive in Hopewell Township to accommodate another part of the trail. The Pedestrian and Bicycle Information Center of the Federal Highway Administration just released its National Bicycling and Walking Study 15-Year Status Report. We are slowly making progress toward a healthier and safer environment. The Obama administration has doubled the funding for walking and bicycling programs, from less than $600 million in 2008 to $1.2 billion in 2009 (Joan Lowy, Associated Press, June 16, 2010). 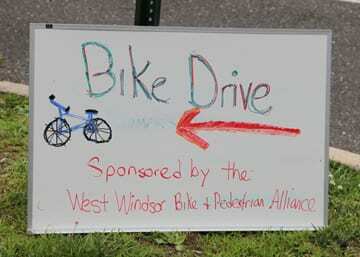 Thanks to everyone who donated bikes at the WWBPA Bike Drive at the West Windsor Farmers’ Market on Saturday, June 12! Eleven bikes were donated to the Boys and Girls Club Bike Exchange and will be refurbished and sold to fund programs at the Boys and Girls Club of Trenton. The Boys and Girls Club Bike Exchange opened in May 2009, and has resold more than 1,000 bicycles. In 2009, the effort raised more than $43,000 for Boys and Girls Club programming. 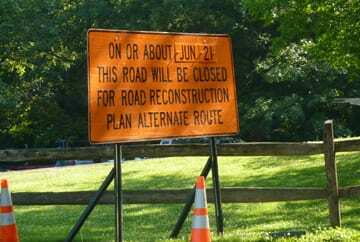 Mercer County is repaving Washington Road/Route 571 between Route 1 in West Windsor and Faculty Road in Princeton beginning Monday, June 21. The work will take about 10 days and during that time, only westbound traffic will be permitted between 9 a.m. and 3 p.m. (Traffic will flow in both directions at other times). Mercer County notes that the entire roadway will be milled first, which creates a rough surface. Cyclists may want to seek alternate routes. A decision has not yet been made whether the restriping will include a bike lane or just shoulders. Watch for updates. 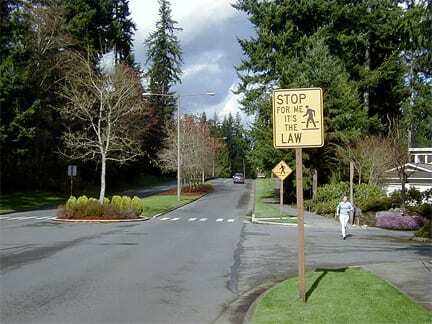 One way to teach motorists to stop for pedestrians is to enforce the law. That’s just what’s happening in Montclair, as reported in the NorthJersey.com article ‘The worst it has ever been’: Many drivers ticketed for not stopping for pedestrians. The Atlantic City Press reports similar ignorance of the law by motorists at the Jersey shore. The Press further reports that a Long Beach Township man seeks to scrap the NJ law. excerpted from The State of New Jersey Department of Law & Public Safety. For more information, click here for the WWBPA Action page. Emma Rosen of WW-P HS South and Jason Chin of WW-P HS North. Both were student advisors to the WWBPA and participated in a number of events (not always tied to the WWBPA) to raise awareness of bicyclists and pedestrians. Each will receive $500 toward their college expenses. The WWBPA has an annual scholarship budget of $1,000. Applicants must be seniors in the WW-P schools or live in West Windsor. Winners should explain what they have done to make the community better for bicyclists and pedestrians or otherwise relate their experiences on bikes and on foot. Writing for the WWBPA, President Jerry Foster sent a letter to the editor of the WW-P News in support of a Trolley Line extension. 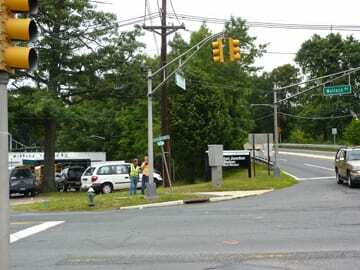 Construction has begun on improvements to the intersection of Cranbury Road/ Wallace Road/ CR 571/ and NJ Route 64. The project includes new pedestrian crossings in every direction, countdown timers on traffic lights, and a dedicated left turn lane coming off of the bridge (eastbound) turning onto Cranbury Road. In addition, the State has approved using the eastbound side of the bridge as a pedestrian crossing with a sidewalk on the south side of the bridge leading to Station Drive and a crosswalk to get to the sidewalk on the south side of Washington Road. 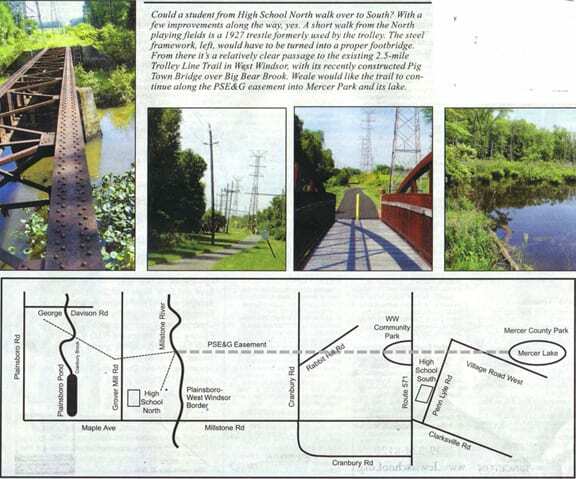 If you have any questions concerning this project, please contact the West Windsor Township Engineering Division at (609) 799-9396. WWBPA joined hundreds of groups from around the country in signing a letter of thanks to U.S. Secretary of Transportation Ray LaHood for helping to make bicycling and walking an important part of the department’s policy. Many bicyclists and pedestrians joined Secretary LaHood at DOT headquarters in Washington, D.C. at the start of the Memorial Day weekend to present the letter. What a Terrific Day for BikeFest! 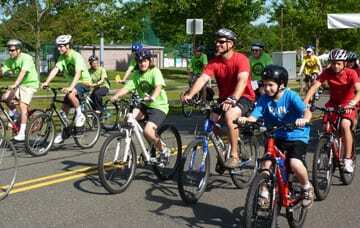 Bicyclists of all ages and abilities attended the seventh annual West Windsor BikeFest on Sunday, May 30 (postponed a day because of the weather) over Memorial Day weekend. The weather on Sunday couldn’t have been better! 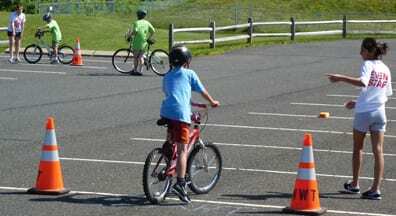 A bike rodeo helped to educate young riders about the rules of the road and safe riding practices. Watch a Slide Show from BIkeFest 2010. BikeFest focuses on bringing awareness of safe cycling and enables families to experience bicycling at various skill levels. 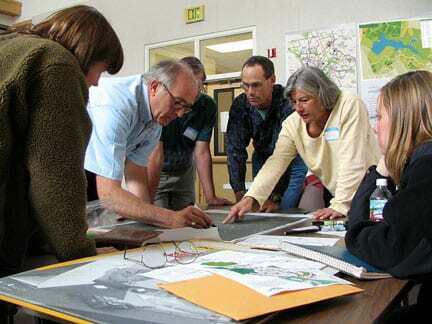 Participants discover that West Windsor has many roads that will accommodate all levels of cyclists. 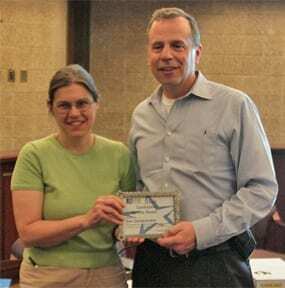 BikeFest is run by a small committee led by Dan Gerstenhaber and supported by Ken Jacobs of the West Windsor Division of Recreation and Parks. Local businesses support the event and many volunteers support registration, rest stops, sweeping, and feeding the event participants. Volunteers are always welcome. For more information go to West Windsor BikeFest. 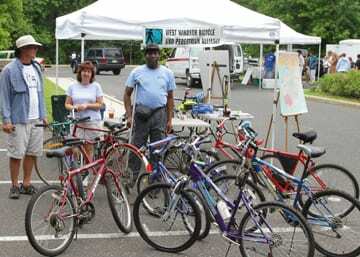 The BikeFest committee focuses on safe cycling in West Windsor; funds raised by the event are used to support designated community bicycling improvements. 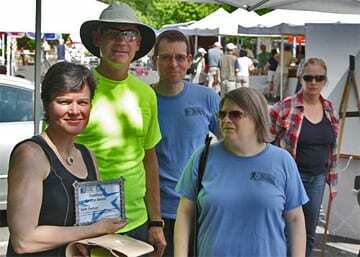 Along with the installation of bike racks in various parts of the township, the BikeFest committee has donated money to help with some of the WWBPA initiatives, most notably the printing of the WWBPA map, Share the Road signs, bicycle racks for theWest Windsor Community Farmers’ Market and the soon-to-be-completed bicycle parking facilities at the Princeton Junction Train Station. The WWBPA isn’t a sponsor of BikeFest but thanks the BikeFest committee for its continued support for safer cycling in West Windsor. Comments Off on What a Terrific Day for BikeFest!